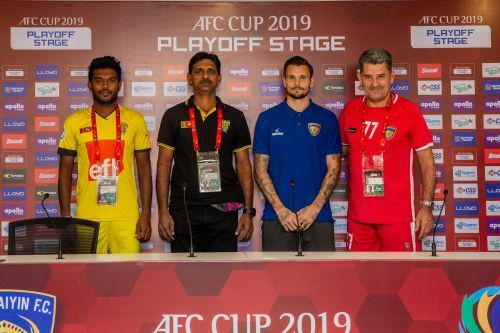 Chennaiyin FC stand a win away from entering the group stages of the 2019 AFC Cup. With the team enduring a season to forget in the Indian Super League this term, head coach John Gregory and his players have their eyes firmly set on the cup competitions. Having earned entry into the qualification stage of the AFC Cup through their ISL triumph in 2017-18, the Blues from Chennai are gearing up to take on Sri Lankan side Colombo FC in the 2nd leg of their qualifying tie at The Arena by TransStadia in Ahmedabad on Wednesday. The first leg in Colombo ended in a 0-0 stalemate last week. With the tie evenly poised it's everything to play for. Chennaiyin's difficulty with scoring goals this season has been well documented. The Blues only scored 16 goals from their 18 league games, less than a goal a game, which was the lowest among all teams this season, a fact not lost on Gregory. “We've not scored enough goals,” said Gregory. “The lesson for us is that we need a regular goalscorer and a regular creator. It's something the club needs to address in the summer,” he added. His opposite number Ruwan Priyantha Kumara, coach of Colombo FC, also appeared comfortable with his team's position in the tie. “We arrived three days ago. The climate here is very good and we've had some good practice sessions." On his team's plans for the game, Kumara said, "Every team would like to get an early goal, same for us. We also don't want to give away goals to them so we have planned to cover all possible angles of attack." "We know their weaknesses and we have players to exploit them. They have not been playing that good this season so it's an advantage for us," he added. Colombo FC came up short against Indian opposition in the preliminary stage of the 2017 AFC Cup as well when they lost 2-4 to Mohun Bagan. If Colombo win tomorrow they will become the first Sri Lankan side to make the group stages of the competition. Asked about what it would mean to them, Kumara said: "Will be a very proud achievement for us and Sri Lankan football. The popularity will go up." 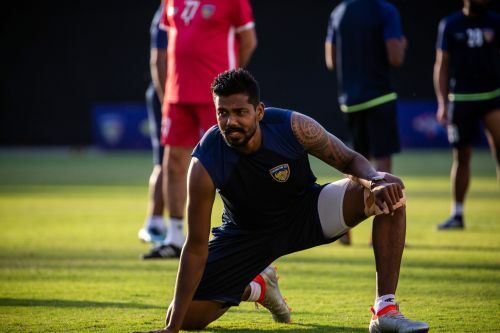 Gregory is keen to leave Chennaiyin on a high having announced at the end of the ISL league phase that he will be leaving at the end of this season. "I don't want to go away from here thinking about our ISL season. We are determined to progress in the AFC as well as the Super Cup later," added the Englishman before he signed off.